Interest in pursuing individual interests accelerates with age too with the over-75s appearing most keen on having more time to do what they want (70%) and spending time on hobbies (53%). The report further reveals Britain’s over-55s are cashing in on the improving UK economy, with rising incomes leading to more than £150 extra in their pockets each month compared to the same time last year. Findings show savings pots have increased too but the level of monthly expenditure has risen with the cost of living putting pressure on household budgets. “It’s encouraging to see that the over 55s seek a life in retirement in which they can fulfil their interests. Todays over 55s are independent, resourceful people who even into their later years enjoy their hobbies, learn new skills and travel. “I saw an advert in an island magazine, liked the concept and it looked like lovely affordable long stay accommodation. I booked for a month to begin with and after 3 days booked to stay for a further 6 months! “I have fallen in love with Lanzarote’s climate and landscape, not forgetting the excellent walking trails I’ve discovered through the tours organised at Sun Park Living. The activities are all organised by residents for residents, which I enjoy as it creates a great sense of community. So what are you waiting for? If you are over 50 and looking to meet like-minded people such as Susan on sunnier shores then why not consider a stay at Sun Park Living? Self-catering apartment accommodation with all the benefits of community living at Sun Park Living costs €625/4 weeks for those enjoying 12 or more weeks a year (in 3 or more blocks of 4weeks each, consecutive or not) or for those wishing to sample the community, a 4 Weeks Taster Stay is available for €225/week. One week Taster Visit is 350EUR/week. For more information contact Gil and the team on 0161 408 3360 or visit www.sunparkliving.com. Recently published research on the respected Buffer blog has revealed that the fastest growing demographic on Twitter throughout 2013 was the 55–64 year age bracket which has grown a whopping 79% since 2012. Meanwhile, the 45–54 year age range has proven the fastest growing users on both Facebook and Google+, jumping 46% on Facebook and 56% on Google+. This impressive growth calls into question the prevailing assumption that social media is “just for teenagers” and highlights the importance to businesses of having a solid social media strategy in place in order to target these lucrative demographics. Indeed, the boom of social media is set to be even more pervasive in 2014. Gil Summers, Co-founder of Sun Park Living, a Summers’ Villages, a private gated apartment resort dedicated exclusively to active over 50s on Lanzarote, has witnessed a huge increase of retirees using social media. The resort’s Twitter, Facebook and You Tube channels have been buzzing with activity since opening in September 2012. “The majority of residents staying here at Sun Park Living are hugely active on social media, organising Skype sessions, updating their Facebook and Twitter pages with their daily activities here, uploading photographs on Pinterest and Instagram or videos to YouTube. This has been a huge and surprising boost to businesses for us, as our residents are sharing with others and showing them what they are missing by not being here. Often people come out after seeing how much a friend is enjoying their time at Sun Park Living through their social media feeds. Indeed the sense of both online and offline community spirit as seen at Sun Park Living is a huge draw for retirees looking for a lifestyle change. Of course the warm climate, flavourful local cuisine and fantastic culture of Lanzarote all serve to make the experience even more rewarding – not to mention the resort offering affordable rental apartments, for short or long term, for a fraction of the usual cost of retirement properties in the UK. Self-catering apartment accommodation with all the benefits of community living with like-minded WiFi wizards at Sun Park Living costs €625 per four weeks for those enjoying 12 or more weeks a year (in three or more blocks of four weeks each, consecutive or not). For those wishing to sample the community, a four week Taster Stay is available for €225 per week or a one week Taster Visit for €350 per week. New Office for National Statistics (ONS) data suggests that more than 30% of the UK population is now above the age of 50 – and that they control 80% of the wealth. The research chimes with last month’s poll of 1,500 over-50s by charity Age UK, which found that 60% of older consumers are open to trying new brands, contrary to perceptions that older customers are likely to stick with tried-and-tested products and services. With the older generation open to new ideas and holding 80% of the UK’s wealth, more and more are venturing further afield and seeking new options for retirement. A new wave of ‘retirement refugees’ has been created with older people feeling pushed out of the UK due to increasing costs of retiring, cold weather affecting their health and a lack of suitable accommodation. “Moving to Sun Park Living means you’ll have daily access to the climate, culture, food, amenities and facilities that you’ve possibly only ever enjoyed on holiday. We see retirees visit Lanzarote in their droves, enjoying a near-perfect climate and a relaxing lifestyle. They all have one thing in common: they are not afraid to embrace a new adventure. “Here we offer retirees a great chance to indulge in their favourite hobbies and activities, and maybe even try something new. Our Villages have great places where you can get together with new found friends, enjoy a cuppa (or maybe something stronger), or just take a bit of time out on your own. Indeed, soaking up the sun has been medically proven to be beneficial. Vitamin D, which the body makes when exposed to natural sunlight, helps bones to absorb calcium, which is vital to bone health, communication between nerves and fighting inflammation. As well as the medicinal advantages of its warm, sunny climate, Sun Park Living allows residents to get involved with all manner of social and sporting activities. The activities and events are organised by those living on the resort, fondly called ‘SunRockers.’ They vary from Village to Village, but generally include outdoor and indoor bowls, reiki, yoga and even dancing classes, arts and crafts, gardening groups, Spanish and computer lessons, many competitions, charity work and movie nights. There are also social events to look forward to such as Village dinners, ‘happy hours,’ morning teas, Social Fridays for those not living at the resort to come and meet residents, or group outings to local restaurants and shops, island tours and attractions. So what are you waiting for? If you are semi or fully retired over 50 and looking to meet like-minded people on sunnier shores then why not consider a stay at Sun Park Living? Become a SunRocker today for the affordable year-round rate of €625 for each four-week (28 day) stay. For more information, visit www.sunparkliving.com or call 0161 408 3360. You can also follow Gil and the team onTwitter or Like them on Facebook. According to the latest figures released by ISTAC, the Canarian Institute of Statistics, 33 million overnight stays were made in apartment accommodation throughout the Canary Islands in 2013, an increase of over 1.8% compared to 2012. A popular winter sun holiday hotspot, 3.2 million overnight stays in apartments (as opposed to hotel accommodation or with friends and family) were recorded in December 2013 alone with the Islands welcoming both international and domestic visitors alike. By nationality, once again English visitors dominated with 11 million overnight apartment stays in 2013, followed by the Nordic nations at 6 million. A trend attributed to the overall increase in tourism to the islands over the last 12 months. “2013 was a record year for the Canary Islands as a whole with 10.63 million foreign visitors arriving on our beautifully sunny shores. Lanzarote welcomed almost a quarter, at 2.1 million, with British tourists dominating, at nearly 1 million, followed by the Irish, French, Russian and Italian visitors, where there´s been a significant gain. So what makes apartments such an increasingly popular accommodation option? “Compared to a traditional holiday accommodation in a hotel, apartment accommodation offers visitors the opportunity to relax and set the tone to their own stay. Today’s travellers want variety and experiences, as much as the freedom to explore and enjoy on their own terms and not be restricted by set meals, closing times, daily intrusions in their space, or even being bombarded with repetitive entertainment. Touristic hotels usually operate a 7 or 14 day stay model, and travellers spend most of their time within the complex, with no need or interest in eating out and experiencing the local cuisine and culture, and hence missing out on everything the island has to offer. “By comparison, apartments, by their nature, lend themselves to longer term stays. They are usually set within a resort enabling guests to make use of the communal facilities such as the swimming pools and recreation areas, and meet with like-minded people as and when they wish. 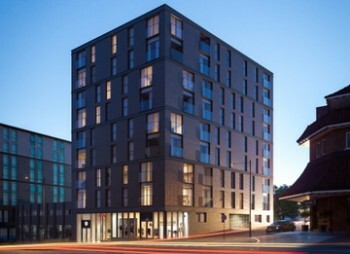 The apartments are more spacious than hotel rooms and feature kitchen areas to prepare you own food, to your own liking on your own timescales. And additional services, such as laundry, housekeeping, transfers and even doctor services can be arranged of course. “At Sun Park Living apartments we go the extra mile by offering guests a breath of fresh air, they get a wonderful community spirit, the complex is very safe and is quickly becoming the ideal meeting point for community minded singles and couples. We have also recognised the need to go beyond the expected and necessary; going back to our initial point of “creating a home from home” we have made it possible for all our guests to arrange for long term storage, enabling them to keep their cherished personal belongings in the complex, travel light, and have their things always ready when they return to the resort. “This apartment style accommodation is particularly popular with older British guests, we are seeing ever increasing numbers staying for 4 to 6 months or even a year at a time, many even changing their lifestyles completely, by renting out their home back in the UK to come to live here and spend holidays back at home with the family, making this a great option for anyone considering an over 50s senior gap year”. So if you are over 50 and looking to meet like-minded people with whom to spend a long term in sunny shores then why not consider a long term stay at a Sun Park Living apartment? Become a ‘SunRocker‘ today for an affordable year-round rate of €625 for each four-week (28 days) stay. Alternatively, if you are thinking of visiting Sun Park Living for the first time to see it this is for you, the rate for a Taster Week is only €250. For more information visit the website at www.sunparkliving.com or call 0161 408 3360. You can also follow Gil and the team on Twitter or Like them on Facebook. Only boring people get bored. Kick the retirement blues and become a SunRocker today! The relationship between physical activity and vitality is well-documented but multiple studies have also revealed an increasingly strong link between social interaction and mental and physical well-being for retirees. While socialisation is critical for all people, regardless of age, seniors can be more susceptible to isolation. Upon reaching retirement age, and with children flying the nest, the opportunities for socialisation often decrease but research has indicated that an active social lifestyle is more important than ever in helping seniors maintain a sharp mind, remain connected to the world around them, increase feelings of happiness, develop a sense of belonging and beat boredom. Indeed, according to Skipton Building Society after just 10 months of retirement boredom starts to kick in. The research reveals that more than half of those surveyed (54%) said the retirement glow wore off because they missed the camaraderie they had at work, while 4 in 10 felt they weren´t being mentally stimulated enough at home and 24% complaining that the British weather affected the desire to get out of the house. “As people get older boredom and loneliness can start to creep its way in but it doesn’t have to be that way. Rather than choosing an expensive care home in the UK why not choose a sunshine resort that encourages physical and social activity? “Here at Sun Park Living we have devised a way of combatting boredom and isolation in your golden years. The joy is that residents, fondly referred to as ‘SunRockers’ can lead an active and independent community life within a permanent holiday environment of like-minded individuals. 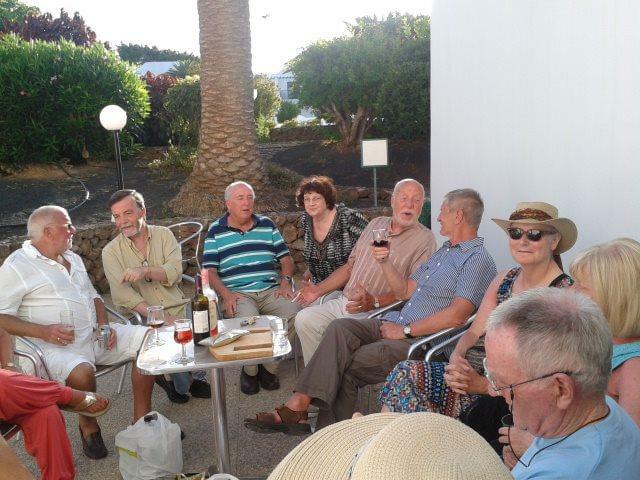 Every Friday between 10:30am and 2:00pm at Sun Park Living is Social Friday, where the expat community of Playa Blanca in the south of the island meet for coffee/tea and socialising. This is also an opportunity for non-residents to explore Sun Park Living, view the accommodation and meet the SunRockers – watch out, their thirst for living life to the full is infectious! So what are you waiting for? Don’t get bored in Old Blighty! Escape to Lanzarote for some fun in the sun! The one bedroom self-catering apartments at Sun Park Living are non-smoking and come fully furnished, offering a comfortable and spacious homeaway from home with bathroom, open plan kitchen-diner, living room with sofa bed and large terrace overlooking the beautiful mature gardens and swimming pools. For more information about being a SunRocker at Sun Park Living visit the website at www.sunparkliving.com or call 0161 408 3360. You can also follow Gil and the team on Twitter or Like them on Facebook. It looks like 2014 is going to be all about family. As the world celebrates the 20th anniversary of the International Year of the Family, holiday destinations across the globe are emphasising their family-friendly features. According to the TravelSupermarket Travel Trends Tracker 2013, 70% of respondents aimed to go on holiday with their partner last year, while 30% had planned to holiday with their children, 7% with their parents and 5% with their grandchildren. The reasons behind this multi-generational approach to holidays are particularly interesting. Dr Ian Yeoman’s study, The Future of the UK Family Holiday: Social and Demography Trends, shows like expectancy in the UK as having achieved a ten year increase for both men and women since 1950, with men now at 78.4 years and women at 82.6 years. Simply translated, this means that grandparents have more time with their children and grandchildren than previously, leading to a rise in multigenerational family holidays. The observation regarding quality family time is backed by research from the Future Foundation, which found that half of the UK’s population claims to get all or most of their satisfaction as a result of family life. This satisfaction increases with age, as new generations are added to family life. One consistently family-friendly holiday destination is Spain. In the recent survey of travel editors and writers by 101 Holidays, Spain came third in the list of countries with the best beaches. The finding is unsurprising, given the mass migration of families that flock to the Iberian country’s shores for a few days or weeks of glorious sunshine every year. 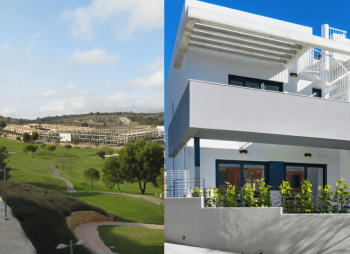 Award-winning developer Taylor Wimpey España has found that is Spanish properties are consistently popular with families, and the Costa Blanca’s Calpesol resort particularly so. The combination of the peaceful town of Calpe, the beautiful beach five minutes from the resort, landscaped gardens and communal swimming pool has proven a winning combination. With spacious houses available from just €168,000 + VAT, it is perhaps unsurprising that Spain is seen as the go-to option for many families looking to own a dream holiday home in the sun. 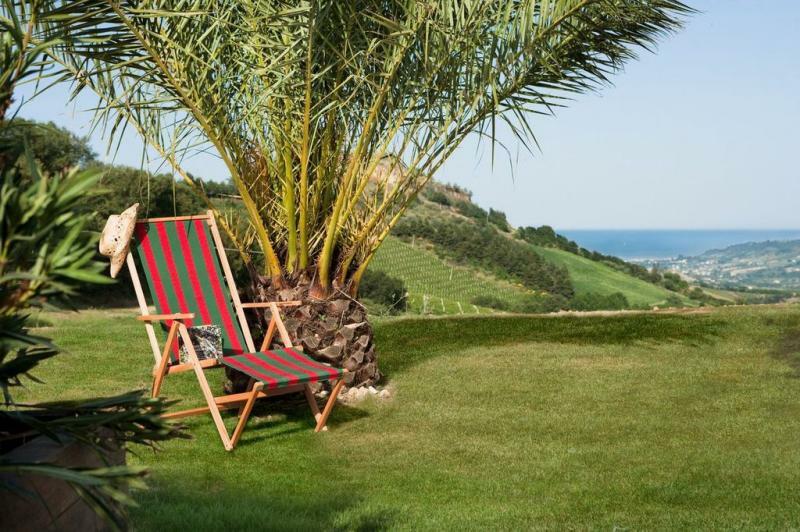 Italy also remains a firm favourite with family holiday home buyers, having been voted one of Lonely Planet’s best family travel destinations for 2014. According to the National Agency of Tourism (ENIT), 62% of international operators globally confirmed an increase in travel toward Italy over the festive season. It is a trend which looks set to continue, with Italian life proving a strong draw to British families looking to enjoy culture, food and wonderful scenery, as well as beach life, as part of their holidays. The Petritoli properties – a three bedroom townhouse with fractions available from £55,000 and a five bedroom palazzo with fractions from £100,000 – were selected with family living in mind. Unusually, both feature outside areas large enough for family dining, which Dawn confirms was an essential part of her decision to renovate the two homes. On the opposite side of the Adriatic, Albania is also emerging as one Europe’s leading family holiday destinations, with sun-drenched beach holidays attracting a growing number of visitors. Lalzit Bay Resort and Spa has been designed with a family focus firmly in mind. Recreational areas, sporting zones, boutique shops and extensive dining options provide enjoyment and convenience for the whole family. A stunning beach and purpose-built beach club further enhance the resort’s family feel. 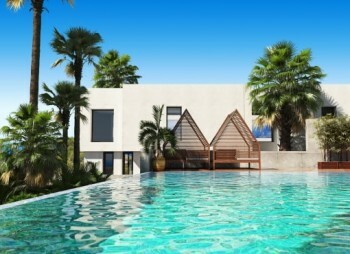 Even the investment opportunities offered by Lalzit Bay are family-friendly – the resort’s apartments, villas and hotel rooms can be reserved for just €500, while lifestyle buyers can also choose to benefit from a free Fiat Punto when they complete on their purchase. With so many family-focused options available, and pressure on families to make the most of their quality time together, holiday home developers and resorts will no doubt continue to celebrate their myriad family features, creating abundant choice for those looking to celebrate family life in the sunshine during 2014. A new report from the Office for National Statistics (ONS) has revealed one in every four retired households across England and Wales are currently renting their home, citing that pensioners living in big cities are being forced to rent because they have been priced out of the property market. Indeed, recent years have also seen a rise in the number of pensioners seeking to boost their incomes by unlocking cash from their home using equity release products and looking overseas for alternative accommodation. According to polling by Demos, a think-tank, 58% of older people are keen to move with one in four interested in the idea of a retirement property, but have few options. Britain has just 106,000 purpose-built owned retirement homes. 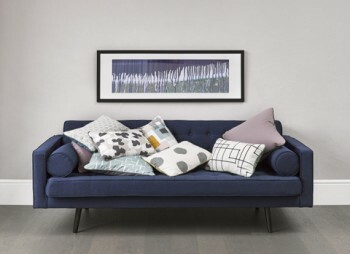 Most one-bedroom and two-bedroom flats are built for first-time buyers, with little of the storage space and practical adaptations that older people need. “Testament to the growing trend of older generations looking abroad for alternative retirement accommodation, Sun Park Living is now fully booked for the 2013/14 winter season. Today’s over 50s are seeking greater value for money, to enjoy the warm weather we have here in Lanzarote every day, in a simple dream retirement property purposely built for their needs, housing stock which is somewhat lacking in the UK. So what are you waiting for? Escape the grey and get away to Sun Park Living today, a “Home from home” for the over 50’s. 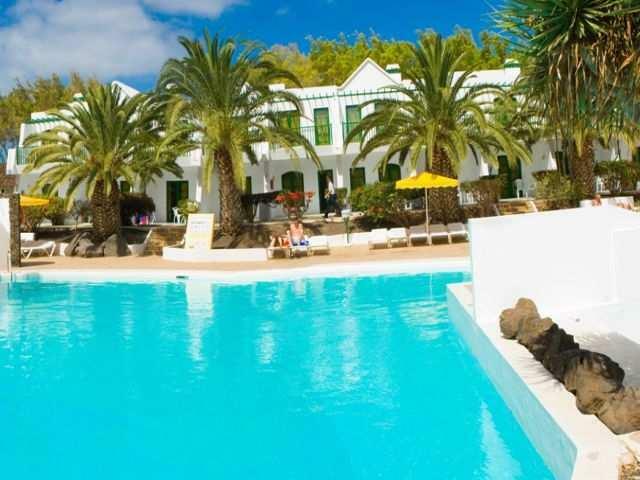 Enjoy staying on the ever sunny island of Lanzarote on your own terms, with self-service and self-catering accommodation within an enclosed, self-sufficient community of English speaking 50+ singles and couples. For more information about Sun Park Living visit the website at www.sunparkliving.com or call 0161 408 3360. You can also follow Gil and the team on Twitter or Like them on Facebook. Far from being ‘Lanzagrotty’, the volcanic Canary Island of Lanzarote, 125km off the west coast of Africa, has become the destination of choice for holidaymakers in 2013. Latest data released by ISTAC, the Canary Islands Institute of Statistics, reveals that tourism levels are erupting with arrivals to the international airport rising by 5.29% in September this year, creating a seven month run of consecutive growth. Due to its year round warm weather, 12hrs day light in winter, and ease of access from the UK and Europe, Lanzarote’s tourism market enjoys a busy summer and winter seasons with many over 60s, from northern Europe in particular, jetting off to this unique island to escape the long dark days and freezing temperatures. Indeed the ISTAC figures reveal that tourists from the UK and Ireland are driving the seemingly recession-proof market with arrivals from Britain and the Republic up 9.1% and 18.8% respectively during September alone. Whilst the UK remains the source of 45% of foreign arrivals each year (707,117 visitors to date this year), Germany and increasingly Ireland are becoming important sources of tourism. As the Emerald Isle emerges from one of the deepest recessions in the Eurozone, tourism levels to Lanzarote are on the up with a staggering 21% increase seen in the first nine months of 2013 and more than 200,000 passengers expected for the year as a whole. In addition to the new Aer Lingus route, Dutch low-cost airline Transavia has just commenced operation of a weekly charter flight from Eindhoven to Lanzarote and the airport’s Director welcomed the first Jetair flight arrival from Lyon in France in October 2013. So if you are an active retiree, or a Sun Rocker, as you’ll be fondly referred to, looking for some sun this winter, then why not explore a stay at Sun Park Living? Enjoy all the freedom of great value for money self-catering apartment accommodation with all the benefits of community living with like-minded ‘Sun Rockers’. Stay for just a few weeks or up to 6 months, the choice is yours, the rental options are very flexible, and there’s no need to worry about hidden extras, as utilities and maintenance, are included. Sun Park Living is about Sun Rockers enjoying 12 or more weeks a year (in 3 or more blocks of 4weeks each, consecutive or not) in a holiday community environment for 625EUR/4weeks. Those wishing to sample the community, may book a 4 Weeks Taster Stay for 225EUR/week. One week Taster Visit is 350EUR/week. 60 Seconds with… Gil Summers, Co-founder of Sun Park Living, a private gated community resort exclusively for those who are retired and active, located on the year-round sunny and warm Canary Island of Lanzarote. If I had one it would say “Gil and mobile number”, that´s how people know me. And if I had a door, it would always be open, I am available for everything, any time of the day, I´m always on call! How did you first get involved with Sun Park Living? Ever since growing up on a kibbutz, I´ve always thought it would be an ideal environment for people who no longer have the responsibility for keeping a full time job or raising a family, to experience a living situation which has a strong community ethos to it. Our involvement with retirement holiday living was something we have been working towards for a long long time. What is Sun Park Living in a nutshell? Sun Park Living is a living solution within a holiday resort environment, exclusive for ‘SunRockers’, and that means people who are active semi or fully retired, who want to spend a few weeks, months and even longer, in a relaxing atmosphere, with like-minded, community hearted people. All activities and events are organised by the ‘SunRockers’ themselves and guests who choose to get involved. How does it differ from other retirement villages? There are a number of important differences between Sun Park Living and other retirement villages. The hassle free-accommodation is rental only. No bills to pay. No maintenance to worry about. No central heating problems. Just an affordable fixed 4 weekly payment. There is a holiday feel to it with new guests arriving weekly so there is a feeling of stability as well as transience, and because Sun Park Living is a social enterprise, all the use of communal space was given to the Community at no cost, to create and run their social life. There is even a community operated Shop and Cafe on site, managed directly by the ‘SunRockers’ themselves, with the support of those guests who may wish to take part in it. So, who exactly are these ‘SunRockers’? ‘SunRockers’ are community hearted and minded people, who are no longer in full time employment nor raising a family, and wish to maintain an active lifestyle in a sunny, friendly, safe, relaxing and invigorating environment. They organise their own group activities and events, and help, in turn, minding their own Community Shop and Cafe. Their cheerful disposition and caring nature is instrumental to the ethos of the community and without them none of this would be possible. And why Lanzarote? What makes it the perfect retirement destination? Lanzarote and the Canary Islands are renowned for their year round sunny and warm weather, stunning natural scenery, wonderful people and culture as well as fantastic food and wines. It´s a much-loved destination by all, there´s a wonderful combination of European culture and standards, Latin American influence and Caribbean weather. Plus, there are daily inexpensive direct flights from most UK and EU airports which is a real bonus! We have a good balance of couples and singles, men and women, from 60-90 years old, all looking for companionship, good weather and a relaxing atmosphere. Because it´s so convenient and affordable to stay here, SunRockers say that the “real currency” to be here is ones willingness to be a good fit and contribute to the social fabric of its community. Usually, SunRockers may be seen leading their own lives, as they would in the UK, and many spend the afternoons and evenings in groups doing anything from gardening, book reading, watching movies or simply “hitting the town”, it´s all about enjoying life in good company, and that can definitely be achieved here. It is very rewarding to watch them all blossom, some right from the moment they arrive, into active members of the Sun Park Living community. We´ve even witnessed mature children bringing their parents to see if Sun Park Living is good for them, seen how they care and protect them, and when they leave, suddenly mum and/or dad change into a fully independent ‘SunRocker’, it´s exhilarating to watch them having such an enjoyable time, confirming that Sun Park Living is absolutely worth it. What does 2014 hold for Sun Park Living? For the SunRockers and Guests – more fun, friendship and good times in the Spanish sunshine. Our charitable Foundation is looking to keep making an impact and spread the word about the benefits of community living in retirement. Winter warmth for less: As the energy volcano gets set to erupt, why not escape to the Canaries for no fuel costs this winter? People in retirement are increasingly being made to dig into their savings to cover basic living costs as energy prices across the UK soar 10% and wages stagnate, forcing baby boomers to look for different means of battling the cold this winter. According to a consumer watchdog Which? survey, almost a quarter (23%) of 50 to 64 year-olds admitted to raiding their savings to pay for bills last month. A further survey by Age UK has also revealed 6 million Brits over 65 are worried about soaring energy bills with 3 million more fearing they will not be able to keep themselves warm this winter. The charity say up to 24,000 older people in the UK will end up dying because of the cold. “This research paints a very worrying picture of today’s UK retirees who are vulnerable to financial shocks and unable to keep the savings they worked so hard for to enjoy in their golden years. The rising costs of energy bills are forcing more and more to dip into their savings throughout the cold winter months. Founded in 2011, Sun Park Living does not sell property nor operates timeshare, but offers long stay accommodation in Lanzarote, at a very reasonable price. Welcoming people from all walks of life, both individuals and couples at the stage of active retirement, the unusually spacious resort offers affordable self-service rental accommodation from 4 to 52 weeks and beyond. Those who choose a long stay at Sun Park Living will find they have all the advantages of having their own home without the downsides of having to buy it nor the on-going responsibilities of ownership, such as bills in your name, maintenance, etc. 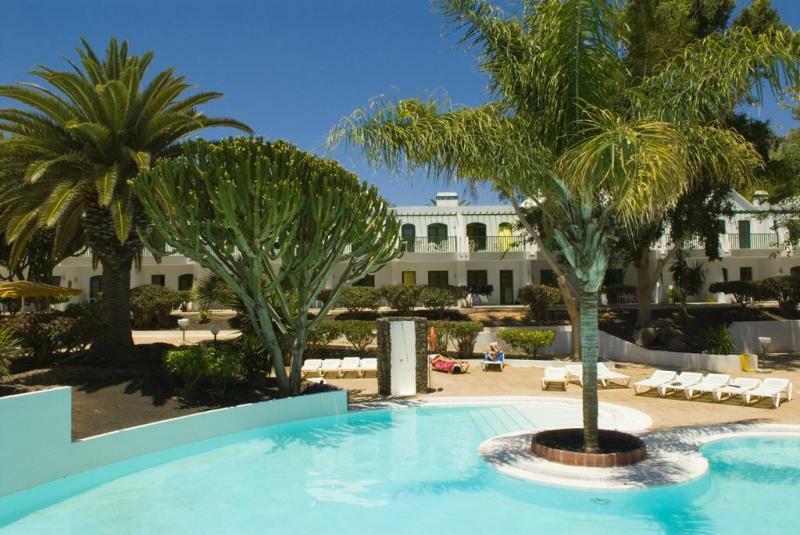 This unique retirement complex offers a great alternative to the typical holiday accommodation in Playa Blanca Lanzarote, especially if you are looking for great value for money. The resort works like a long term property rental, with all bills included, (with the exception of food, phone and travel), where you have the choice to Rent-As-You-Go, or secure your whole stay upfront, from anything from a month up to 5 years. The one bedroom apartments are non-smoking and come fully furnished, offering a comfortable and spacious home away from home with bathroom, open plan kitchen-diner, living room with sofa bed and large terrace overlooking the beautiful mature gardens and pools, allowing you to move in straight away and start enjoying Sun Park Living from the minute you arrive. So what are you waiting for? Avoid rising UK energy bills and escape to Lanzarote for some winter warmth for less!